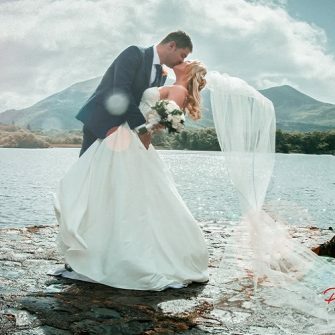 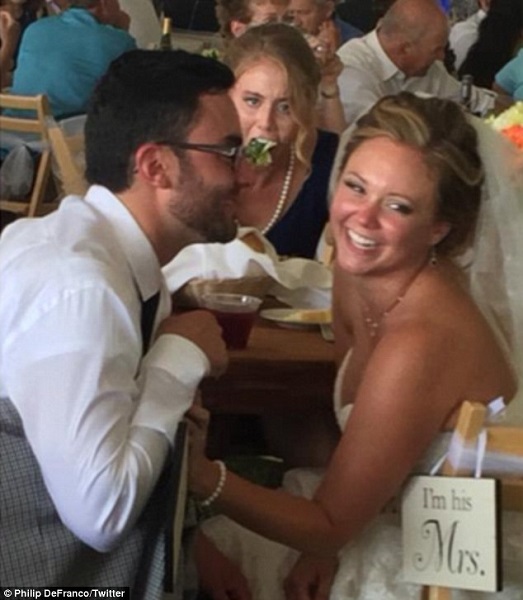 Bride Chelsea Montgomery and her groom Liam McGrory ended up unusual wedding photos after their shoot was photobombed by 60 zombies. 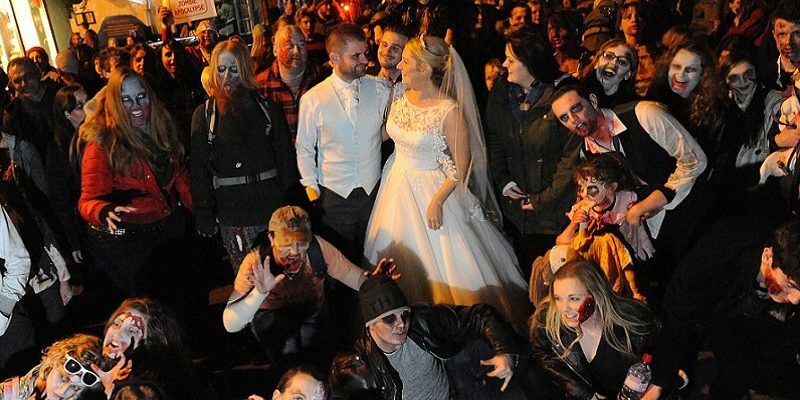 The couple had just arrived outside Windsor Castle, Berkshire to have their photos taken in front of the building when the ‘undead’ showed up. 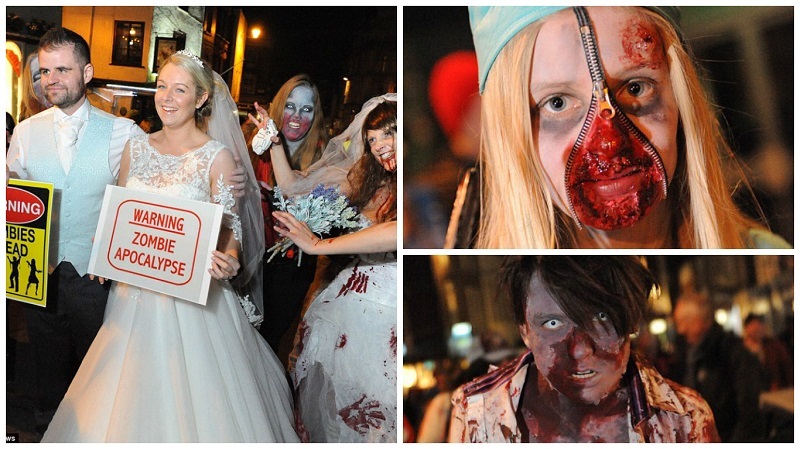 Blood-spattered zombies were out in full force for the annual Zombie Walk. 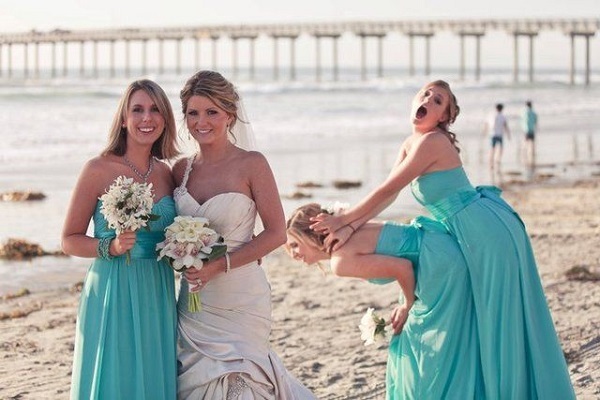 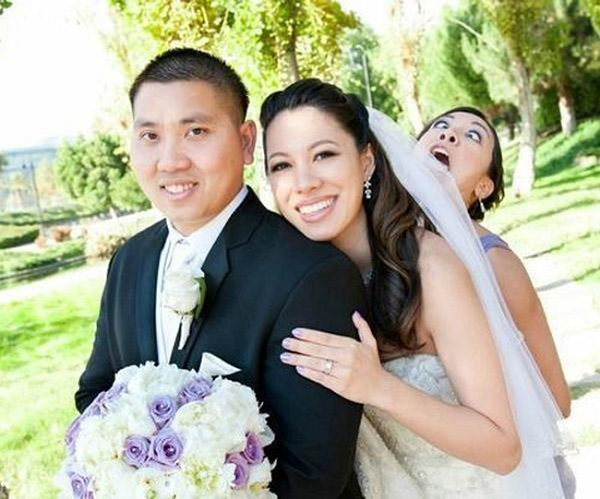 The newlyweds saw the funny side as they were quickly surrounded by the freaky photo bombers. 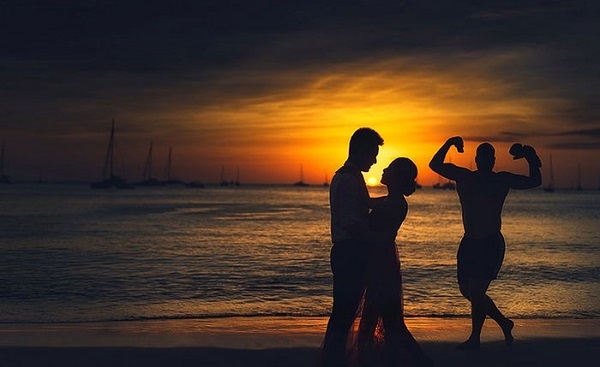 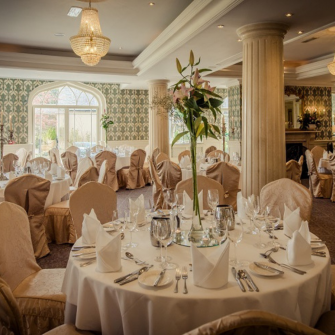 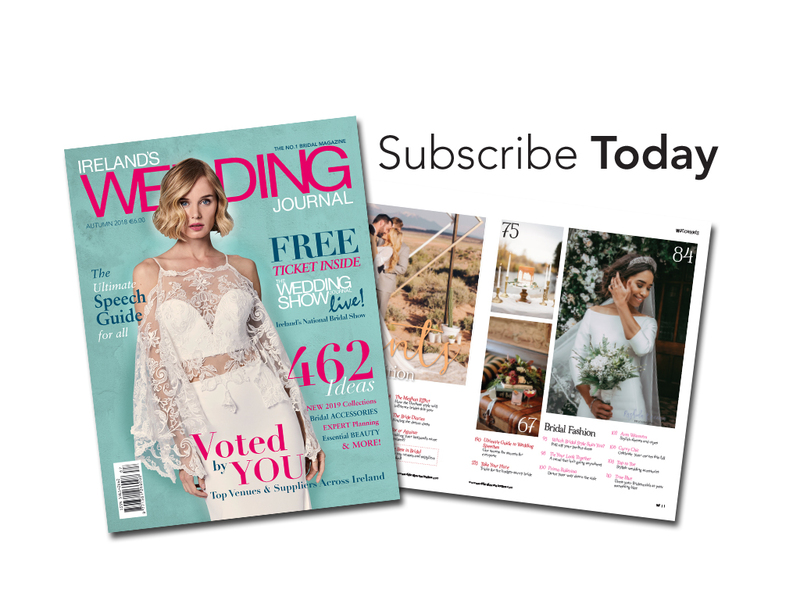 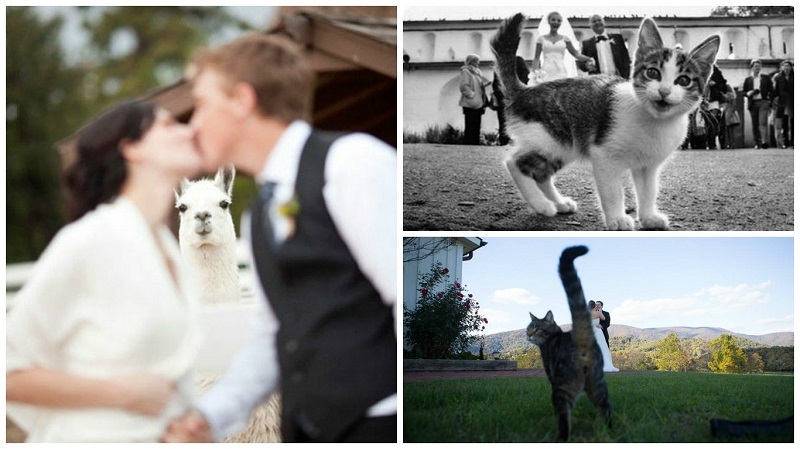 Chelsea and Liam are not the only couple to have their wedding photos interrupted; here are a few classics that took the bride and groom by surprise on their special day. 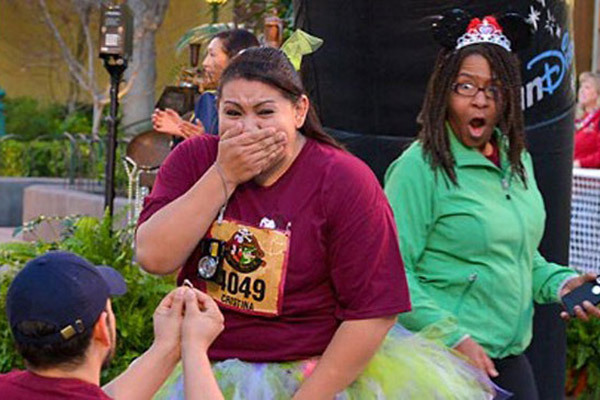 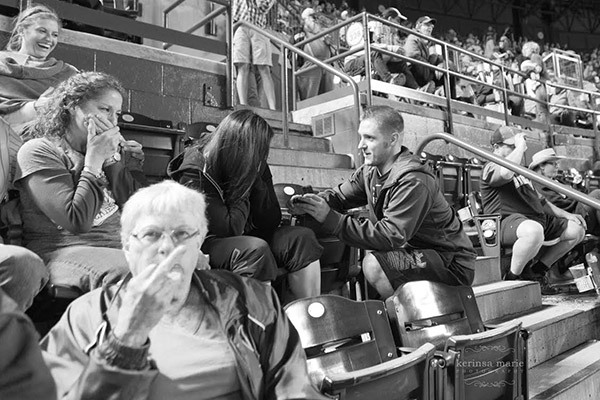 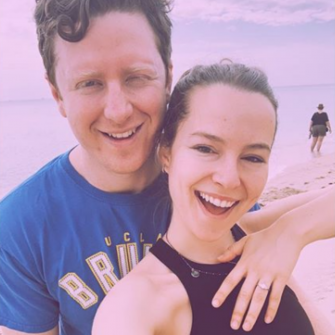 8. Who is more surprised by the proposal – the random stranger or the girl being proposed to?